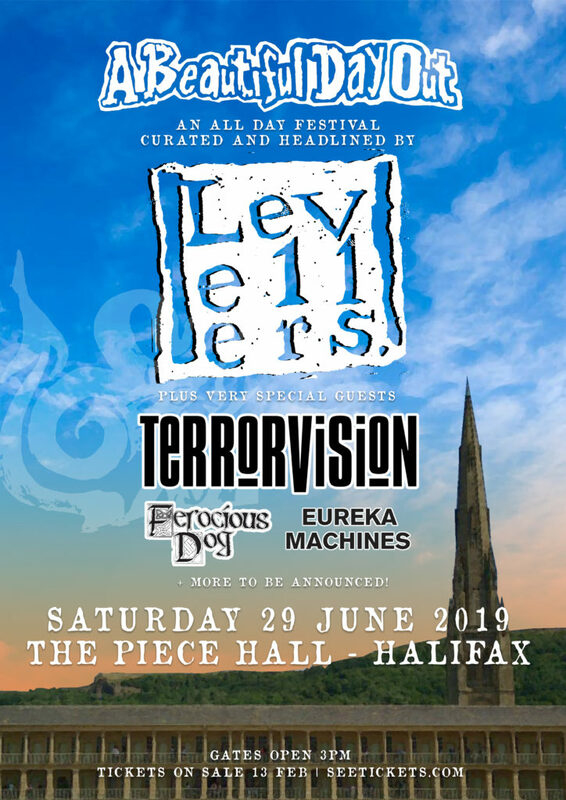 We’re very pleased to tell you we are playing the beautiful Halifax Piece Hall for the one-off – A Beautiful Day Out festival on Saturday 29 June. It’s a privilege to have been asked to do this by our friends The Levellers. Also on the bill are our other friends Terrorvision, plus Ferocious Dog. Get hold of tickets soon cos I’m pretty sure this will sell out. Speaking of selling out, our Manchester gig in April is totally out of tickets. And the others are not far behind. So please get hold of a ticket if you want to come. It’s always good to instil a bit of confidence in the promoters when we sell advance tickets. Cheers all and see you in the Spring. Two things – Rarities is now up for purchase/streaming on your favourite local purchase/streaming site. Second thing – we are going on tour in 2019. Here’s the dates and the ticket links. 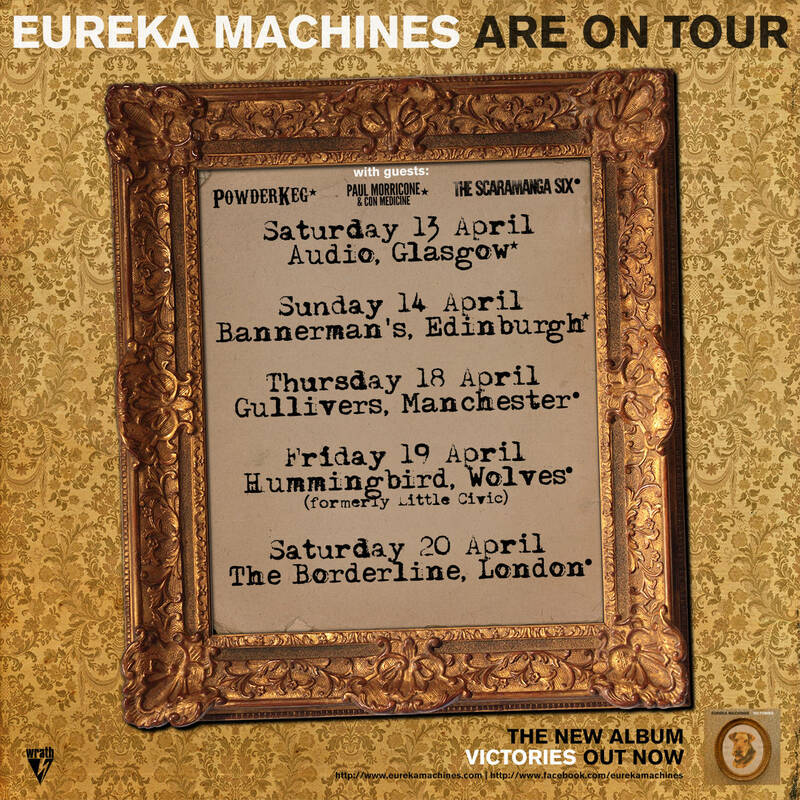 The Scottish dates will be with the wonderful Powderkeg and Paul Morricone And Con Medicine (the exciting new solo project from Scaramanga Six bloke Paul), and the English dates are with our old pals The Scaramanga Six. These are likely to be our only headline gigs this year, so don’t hesitate in copping hold of those tickets. Our Shop is back online for all of your CD/t-shirt/print/DVD/download needs. We’ve got the very last few of the previously Pledge-only ‘Japan’ shirts up there (we always hold a few back in case of any going missing in the post). PLUS for the first time our double-CD ‘Rarities’ album is available EXCLUSIVELY at our shop. Also back in stock at reduced prices are the signed lithoprints at a bargain £5 each (inc UK postage) or £7 for each one, and the DVD for just £6 (inc UK postage). Plus a load of discount combo deals etc. Buying direct from us is the best way to support our funny little band, so if there’s anything you want, now’s the time to go have a look. 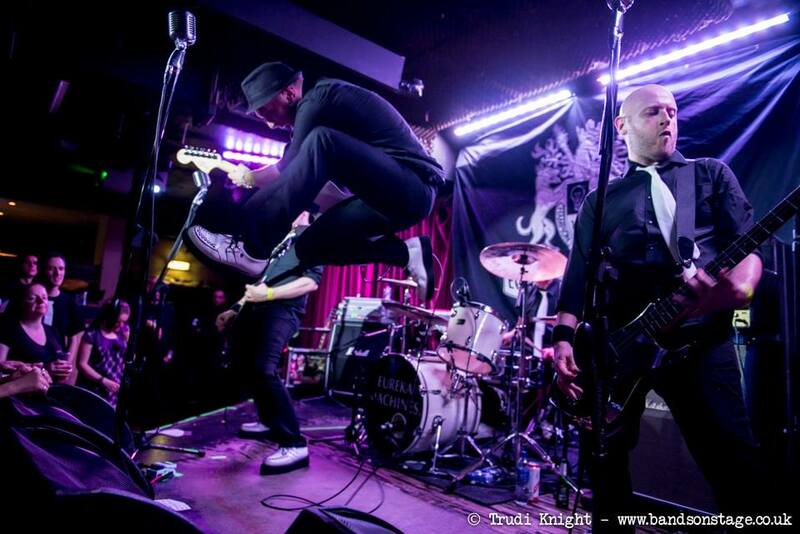 Cheers for the continued support, and hope to see you at the gigs in September. We’re doing some dates in September. That’s it for this year, barring any major changes. We had made an announcement to Pledgers about some other gigs, but due to unforeseen circumstances, we had to pull them. Refunds should have gone through now – get in touch if they haven’t. Sorry about that, we’ll be North of the Border next year, hopefully. This is all to celebrate the release of our new album VICTORIES, which some of you Pledgsters have already copped hold of. The general release will be on Friday 7 September. Excellent. Hope you are all good – see you in September. Ticket sales are fast already, so hurry up and get a ticket if you want to come.